Fun things I see and do in my bonsai life. This has to be the oppersite to shohin, but truly amazing on the size front. 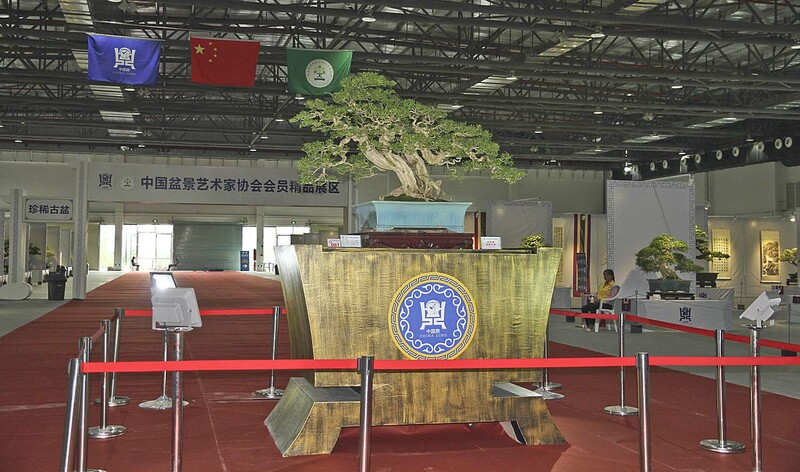 How large do you think this penjing is? Scroll to bottom to find out! 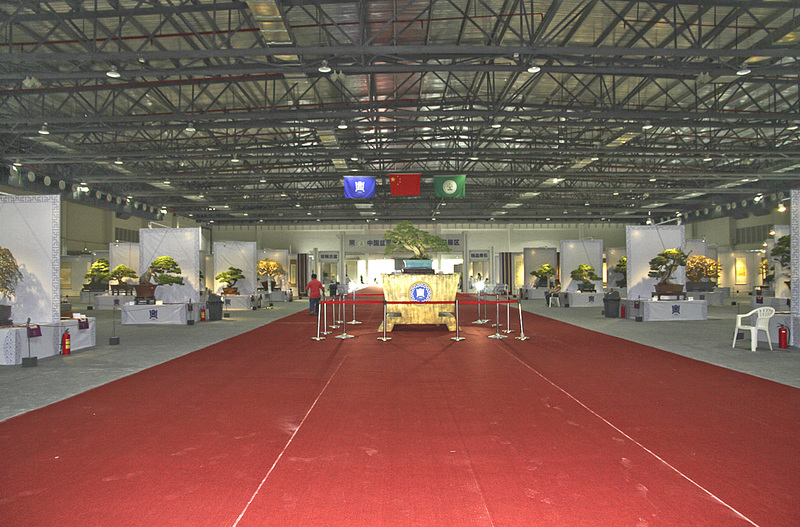 The day after the successful WBFF World Convention I was flown to Guangdong and then took another two hour car ride to Zhongshan City for the First 2013 China (Guzhen) National Penjing Exhibition. It is quite warm here and the airport roads were lined with stately Royal palm trees with colorful red poinsettias used as bedding plants. Penjing from the entire country were gathered for this premier exhibition which was held in a huge new exhibition building. 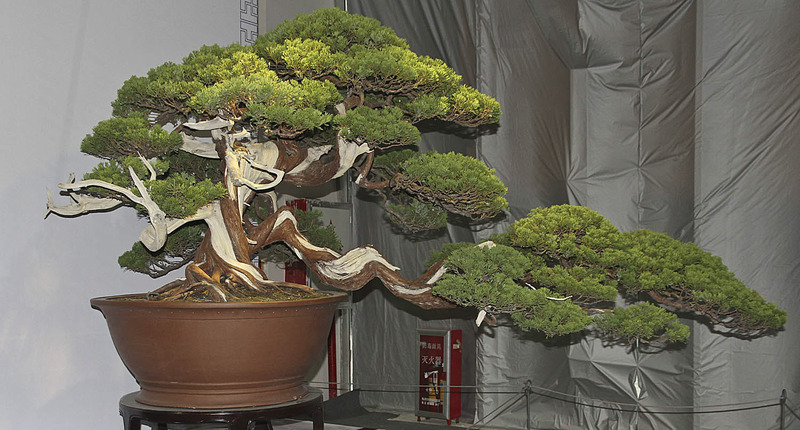 It needed to be large because of the great size of nearly every penjing. We will start going back a few months to the beginning of the year. This picture was taken from the top of the scaffold during your extension works. 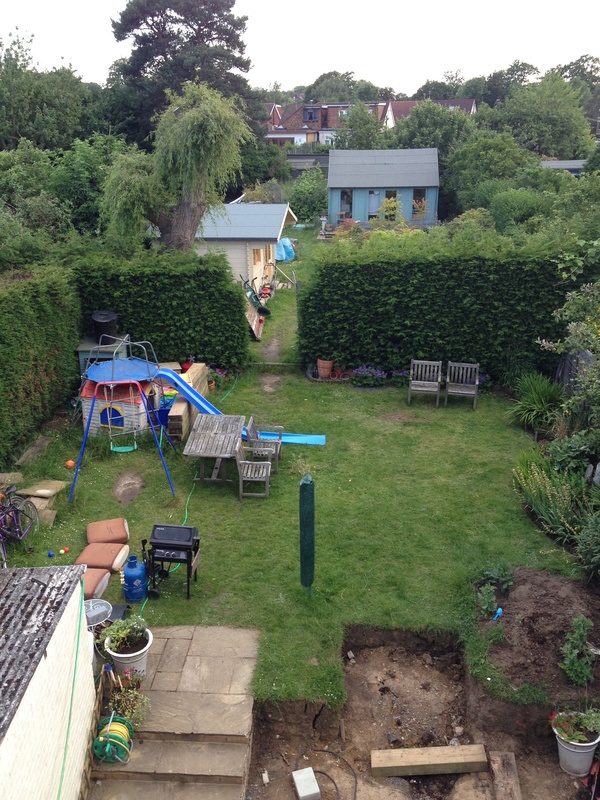 The idea is to take out the hedge across the garden and replacing with a fence a little further up. Mains water has to be taken up, along with a hundred other jobs. So first job is going to be to replace sleepers and relay the patio. Ever feel its one foot forward and one back. Blue cabin at the end is my office, you can just see a few of my trees sticking up. 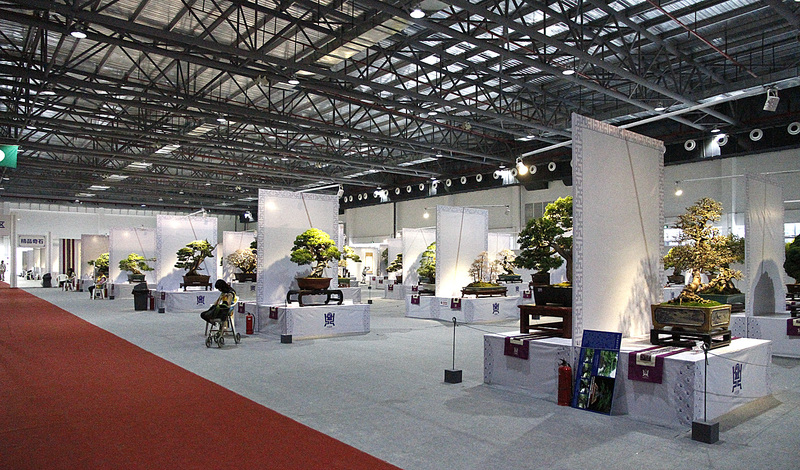 This was part of our club display during the world of bonsai show at the k2 sports centre. I hope with this blog to share my bonsai life, for me its a hobby and one I have enjoyed for over 20years now. I had my first visit to Japan in 2010 where above all the stunning shohin blew me away. When I got home I ahead a serious look at my own collection and realised it lacked a definite direction. 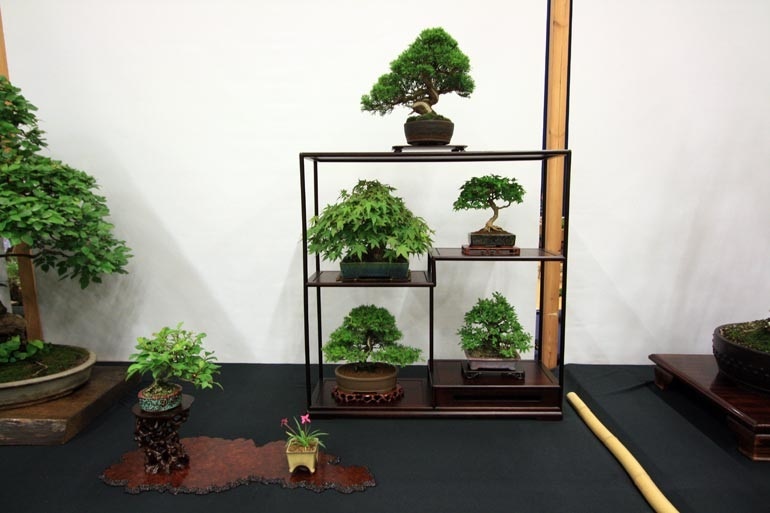 After a second trip including the ASPAC convention I new I wanted to do more Shohin its not only the trees, but the pots, stands and all the details that go with shohin display and appreciation. My own garden is going to be overhauled over the next 12 months and i will share this along the way. TWTWTW Part Three: And the winner is …. bindibonsai on Zig Zag bridge project. Chris Durne on Zig Zag bridge project.